You can create hands-free, first-person videos with the head-strap camera mount. 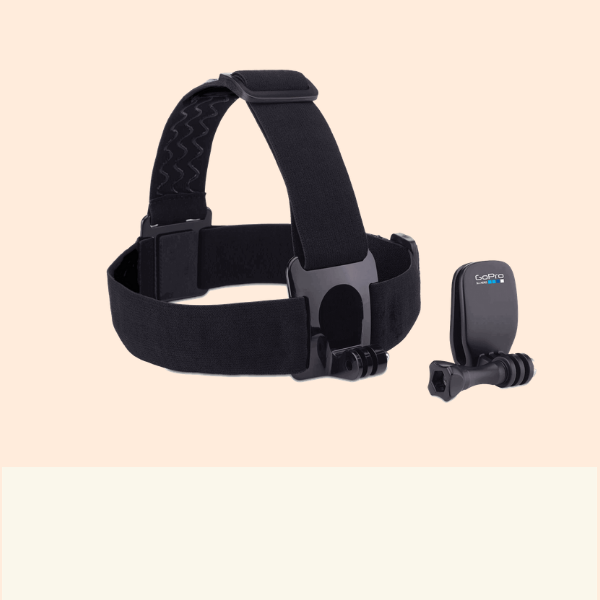 The head-strap camera mount keeps your GoPro camera securely in place for a smooth recording of everyday adventures or vacations—like riding a bike to rafting, hiking, angling, or simply walking around a market. GoPro Head Mount is for low-profile activities only, & not for high impact activities like mountain biking & running. GoPro head mount is compatible with all GoPro cameras.